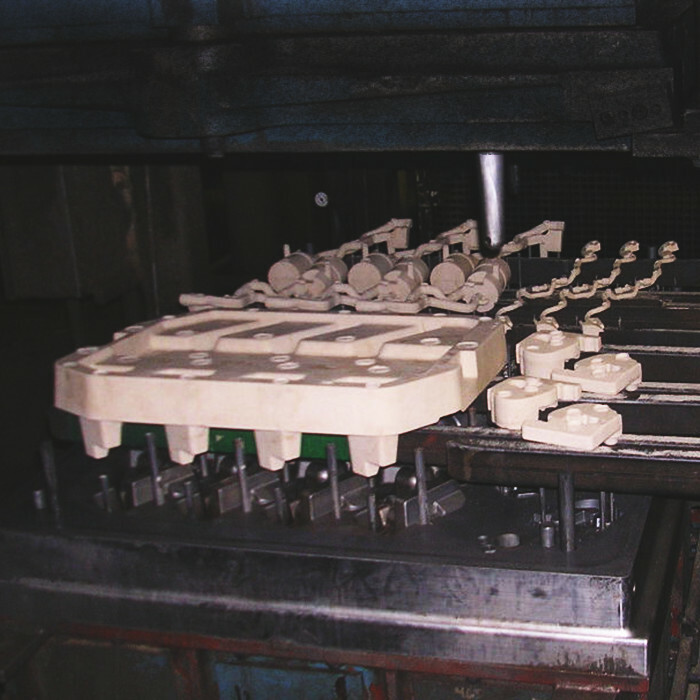 Core Making Process | Wabash Castings Inc.
Wabash Castings, Inc. manufactures its own cores for its castings utilizing the Cold Box Iso-cure process. We specialize in complicated core geometry and the Iso-Cure process has proven to be the most efficient and favorable process for green sand casting cores. This process brings together Iso-cure binder resins and gasses to cure the cores efficiently and outputs dimensionally stable cores. We are able to achieve lower cycle times and process costs which provides better value to our customers over other core making processes. By making our own cores we can better control the resin content so as to minimize outgassing in the molding operation. We can also have tighter controls for core removal to insure there is never sand in a casting beyond the core removal process. We can apply coatings or core washes when they are required but have found that most coatings are not required with the combination of the Iso-cure core and green sand mold processes thus providing higher value to our customers. © 2019 Wabash Castings Inc. All Rights Reserved.